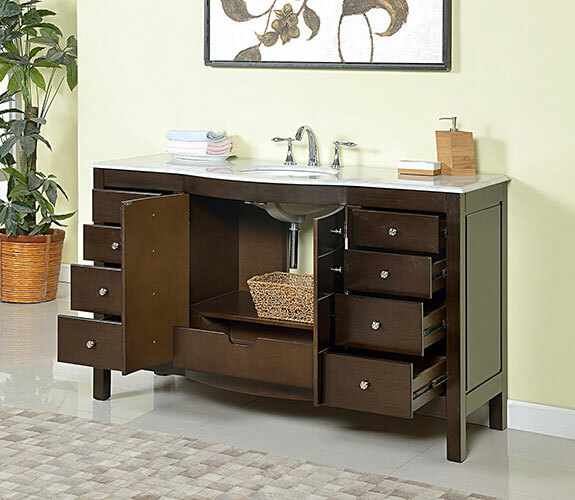 Large counter space and plenty of storage room makes the 60" Karalis Single Bath Vanity both functional and stylish. 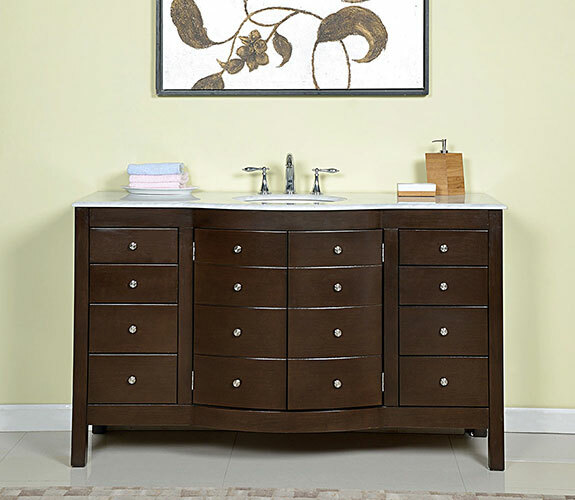 Its cabinet is finished in a beautiful Espresso finish and adorned with metal hardware. It houses nine fully-functional drawers and a double-door cabinet in the center. The top is made from Carrera White Marble and is equipped with a white ceramic undermount sink. Faucets are sold separately.